Differential & Rear End Repair Shop In San Antonio, Texas - Sergeant Clutch Certified Engine & Transmission Shop in San Antonio, Texas has years of experience repairing, servicing and upgrading differentials and rear ends. Our professional differential mechanics have the training, certifications, latest tools and equipment specially designed for differentials. Sergeant Clutch pledges to offer Good Customer Service, Quality Differential Parts and Service, Professional Differential Repair Services, Great Differential Warranty, and Discount Prices on all Differentials. 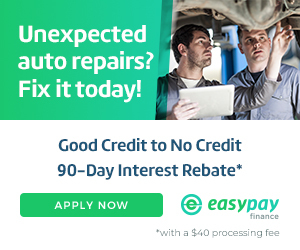 Ask About 6 Months Interest Free! Got Differential Problems? Differential Leaking Fluid? Differential Making Noise? Differential Not Moving? Sergeant Clutch has expert mechanics that can diagnose differential problems and perform the necessary repairs at an affordable price. We will take the time to properly diagnose any differential problems and inform you of your differential repair options. Get the quality personal service you deserve. Call Sergeant Clutch today 210-239-1600. Have You Ever Changed Your Vehicles Differential / Rear End Fluid? 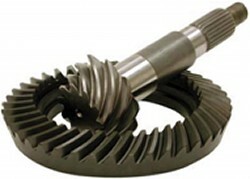 The differential fluid provides lubrication to gears, bearings, shafts and other internal parts. Heat, pressure and friction can slowly breakdown the additives in the differential fluid. Small particles of metal and clutch material may come off as they wear and these particles can mix with the fluid. The differential fluid can also become contaminated with water. Count on Sergeant Clutch to change your vehicles differential fluid. Our mechanic will exchange the differential fluid with high quality synthetic oil that is compatible with all manufacturers. This differential fluid service helps replenish additives that help extend the performance and life of the mechanical differential parts. Call today for an estimate! Traction Control System Indicator Light On? – The Traction Control System is also known as the Anti-Slip Regulation. The Traction Control system engages in slippery driving conditions usually when the wheels are spinning out of sync. When the Traction Control System Light activates the device is disabled and cannot control the amount of wheel slip in a driving situation. If the Traction Control Light remains illuminated for an extended period of time you should drive by Sergeant Clutch for a Traction Control System Diagnostic Scan to help determine the problem.